On 7 July 1941, President Franklin D. Roosevelt ordered American troops to occupy Iceland. The strategy behind this diplomatic move was to deter any possible invasion of Iceland by the Nazis – at this time, the USA was still neutral. Although Iceland was neutral during World War Two, the UK invaded the island earlier in 1941, in order to stop Nazi Germany from turning it into a base from which it might attack Allied shipping. 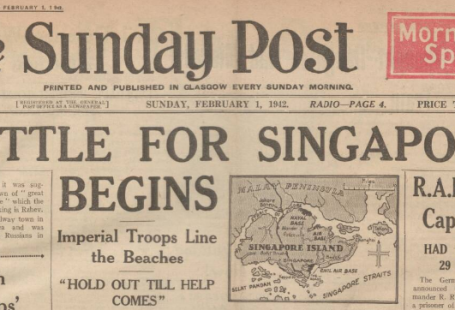 Here is a newspaper story – published on 8 July 1941 – that reports on the ‘invasion’.